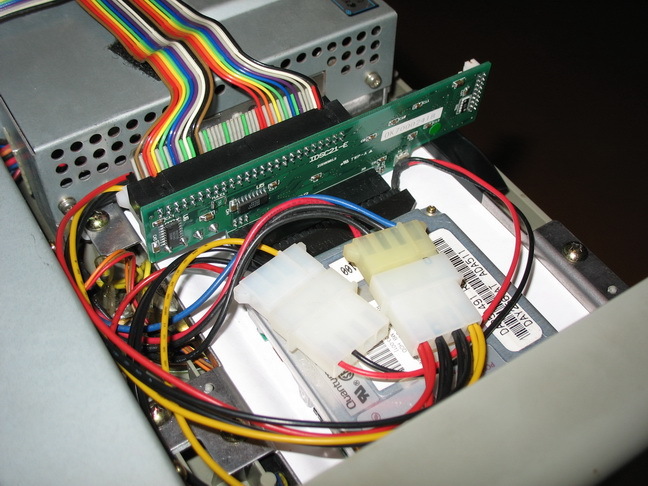 Using a SCSI to IDE/CF/SD adaptor as a hard drive on X68000 hardware. Most of them were tested on an ACE-HD system, but compatibility for all X68000 should be the same. Note: It recognized every device I tried and correctly reported their descriptions. Note: It failed to recognize one device and incorrectly reported their descriptions. 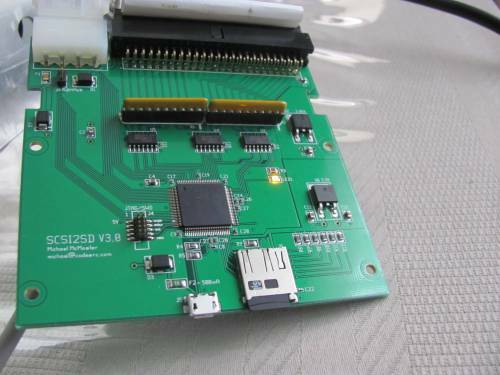 The information on following two adapters is kind contribution of our forum member JackLeather. Thanks for testing and reporting ! 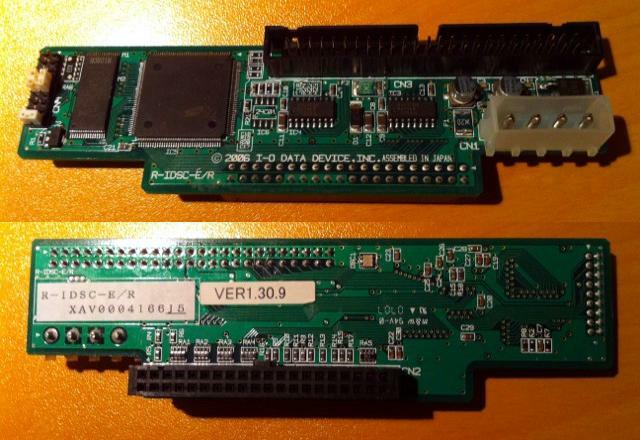 Beware of I-O Data R-IDSC-E/R because it is not compatible with X68000. This is the easiest one to find on eBay so be very cautious when ordering your adapter. Luckily the I-O Data adapters can be very easily distinguished from one another. 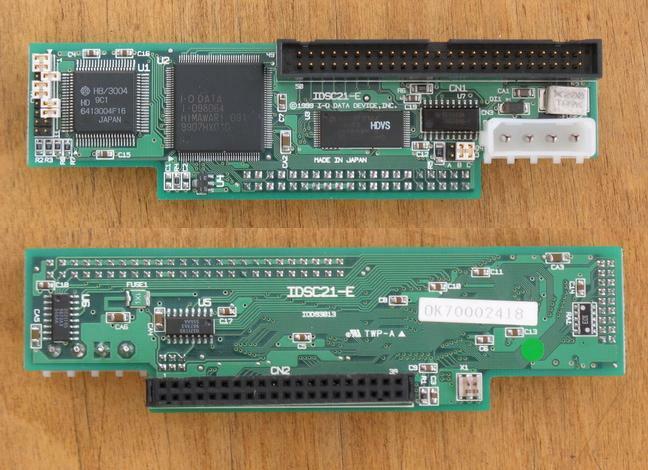 The R-IDSC-E/R has one main logic chip and the IDSC21-E has two. Please see pictures for reference. STRATOS CF AztecMonster is one of the newest products of them all and by far the best. 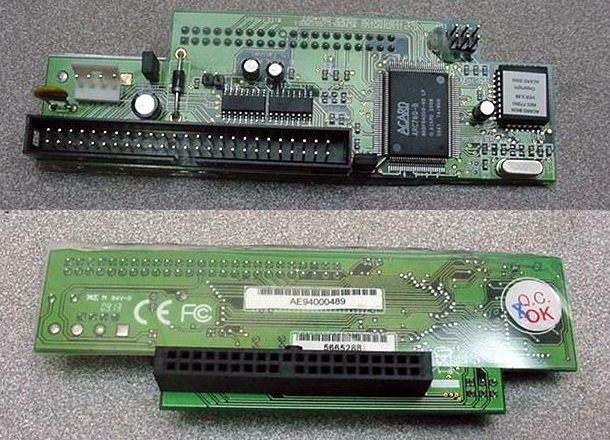 It has the same mounting positions as hard drive, a built-in CF adapter, is made in Japan, usually costs less than any of the previous four adapters, can be easily bought through eBay from a seller called Artmix and is compatible with X68000. 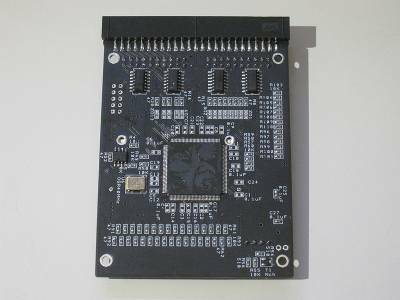 SCSI2SD is an open hardware and open source project by codesrc designs. 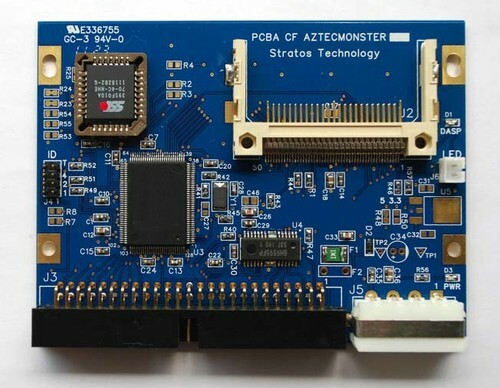 It features a Micro-SD card slot, is firmware updatable and configurable over USB, costs considerably less than STRATOS CF AztecMonster and is compatible with X68000. 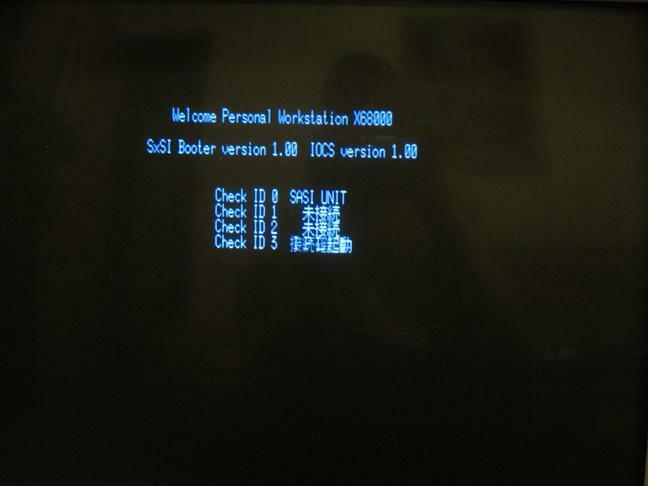 Make sure to update it to the latest firmware if you want to use it with SASI bus. CLPC-CFSxSI101 is special because it is the only one which can be used in native SASI or SCSI mode. All previous adapters only work in SCSI mode. 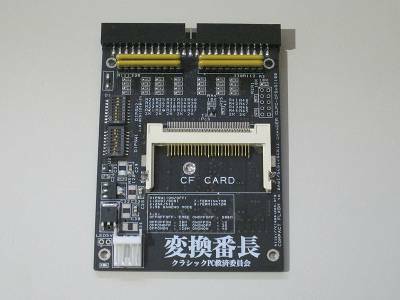 It is made in Japan, works with CF cards and can be purchased from Classic PC Rescue Committee's home page. 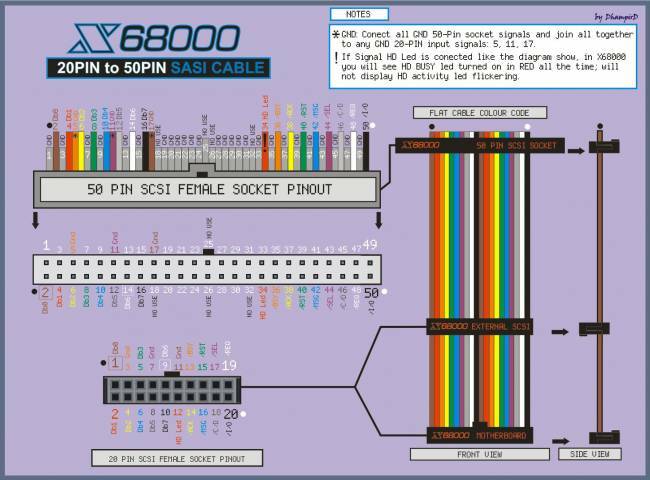 For those of you who don’t have the SASI cable please use these pictures for reference in constructing your own. 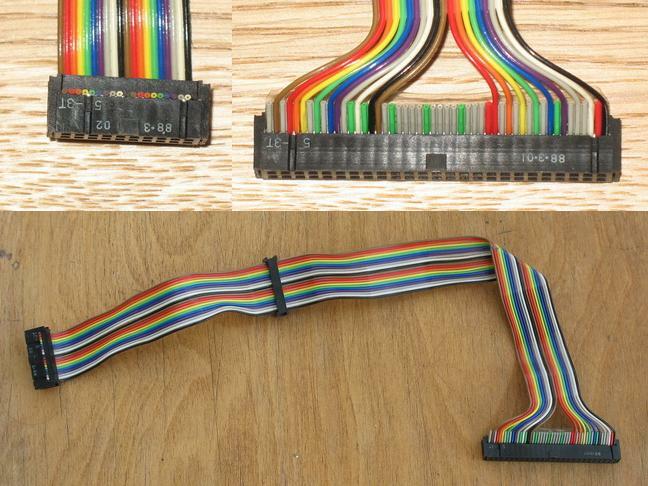 There are two 20 pin connectors and one 50 pin connector. The cable is approximately 34cm (13.4 in) long. Our forum member Dhampird has made a massively brilliant contribution to this article. The following two diagrams are kind courtesy of him. Thank you very much my friend and may the X68000 scene remember you for a long time to come ! :) Click on them to enlarge. 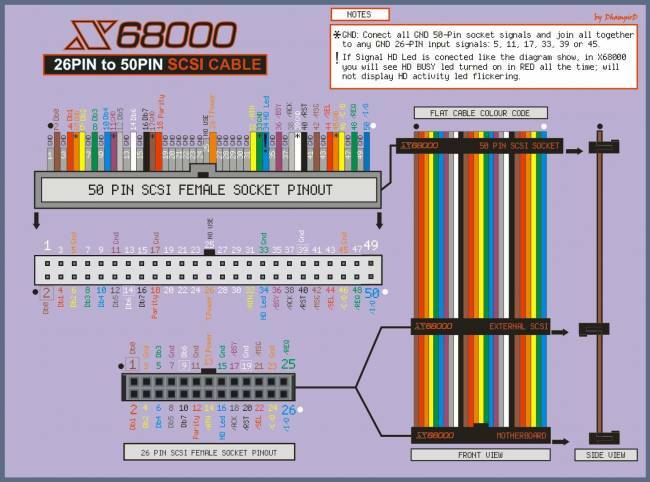 First of all download the disk image which contains Human 68k v3.02 and SCSI compatible IOCS driver with DMA patch for X68000 machines with SASI port. The DMA patch was discovered by our forum member Neko68k and is reproduced with his kind permission. Download DiskExplorer and the disk image transfer tool for your operating system. Now set your SCSI device to ID0, copy the MasterDisk_V2.xdf disk image to a high density 5.25” floppy disk and boot from it. Type switch.x and make sure that BOOT is set to STD. It will ensure that your computer will first try to boot from floppy disk. Now reboot from master floppy and type the following command. Eject the master floppy and reboot. If everything went well you will have booted from the hard drive. Congratulations! You can now remove the references to sasiiocs.sys and scsihd.sys from config.sys. 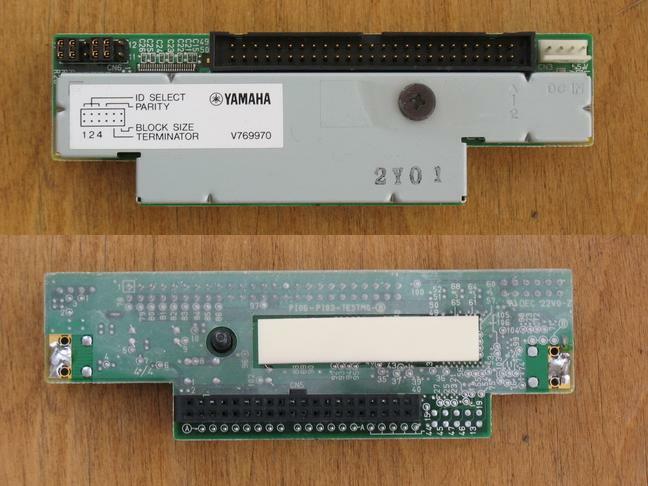 They are only needed if there is no bootloader in SRAM. Type “ed.x config.sys” without the brackets to edit config.sys Press ESC and then X when you are done. The MasterDiskV2 features a small file commander called File Professer v1.0 (C)1989 Logos System which is entirely controllable by keyboard. Type fp.x to launch File Professer and then HELP key to view assigned keys. 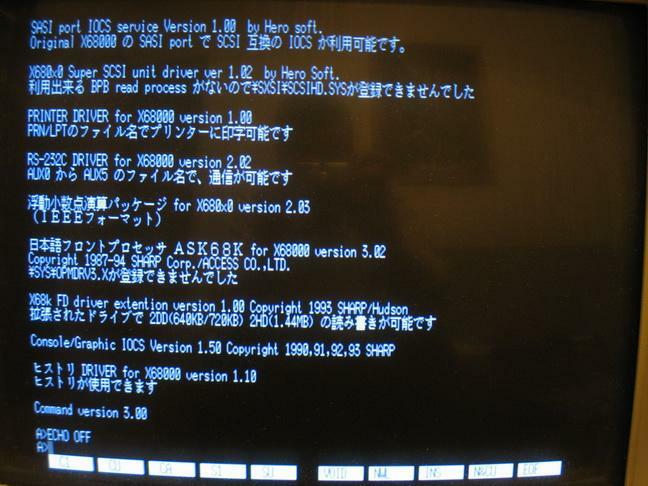 Warning: X68000 allows using long file names, however you will need the TwentyOne driver or else the system will treat everything as DOS 8.3 and everything after the first 8 characters will be ignored when changing directories or accessing files. Don't be shy to restore my custom hard disk image with WinImage to your HDD, CF or SD card and use it on your lovely X68000.